In March 2011, the county coroner arrived at a Caldwell, Idaho home, to find a pale 22-month-old boy dead in his mother’s arms. The child had been teething, his parents said, when they noticed a rattling cough in his chest. They didn’t take him to a doctor. Instead, they told the coroner, they prayed over him. The family belongs to the Followers of Christ, a Christian sect, concentrated in Idaho, that doesn’t believe in modern medicine. When they get sick, even when they’re dying, the Followers of Christ avoid doctors and rely solely on prayer. Six days after the baby’s death, the same coroner was called to a different home across town. There, she found a 14-year-old boy in a brown cotton sleeper — who’d also had a rattling behind his ribs — dead on his mother’s lap. “There were no signs of trauma,” the coroner wrote. 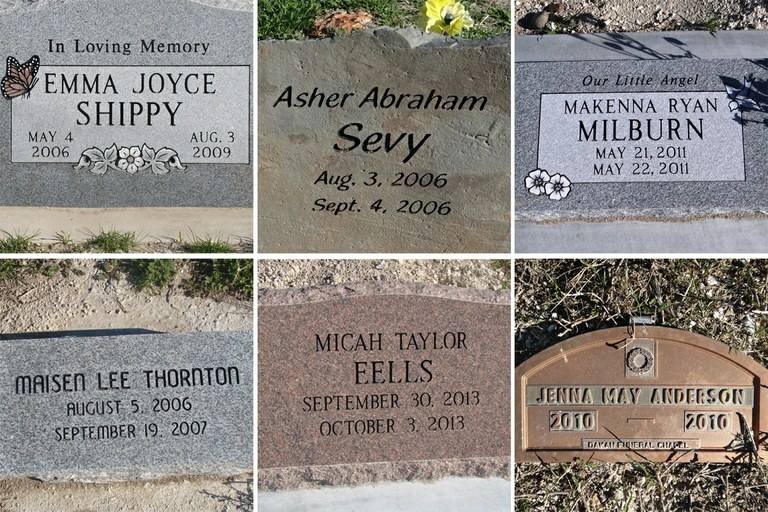 A 2013 report by the Idaho Child Fatality Review team noted that since state agencies don’t compile the necessary data, “it is difficult to estimate the actual number of preventable deaths to children of religious objectors.” But at least 20 times in the past 10 years, southern Idaho coroners have examined the dead children of Followers of Christ members. They died from treatable ailments: Babies had fevers, teenagers had food poisoning, newly born infants gasped for air for hours until their bodies gave up. Or they were stillborn — carried to full-term by mothers who never sought prenatal care. It’s not illegal to believe in faith healing, to believe that God will heal his loyal believers. But in many states, parents who choose prayer over medicine can be charged with negligent homicide if their child dies. For the past few years, a fierce debate over religious freedom has raged in Idaho’s Capitol. On one side are lawmakers who fear that rolling back protections for faith healers could ultimately infringe on other religious freedoms, and parents who believe that no government entity should tell them how to raise their children. On the other are children’s health advocates and ex-Followers of Christ who worry that more children will die if something isn’t done — and done fast. All this is happening at the confluence of several heated national conversations, involving states’ rights, identity politics and religious freedom, one that’s playing out now in the state with life-or-death consequences. 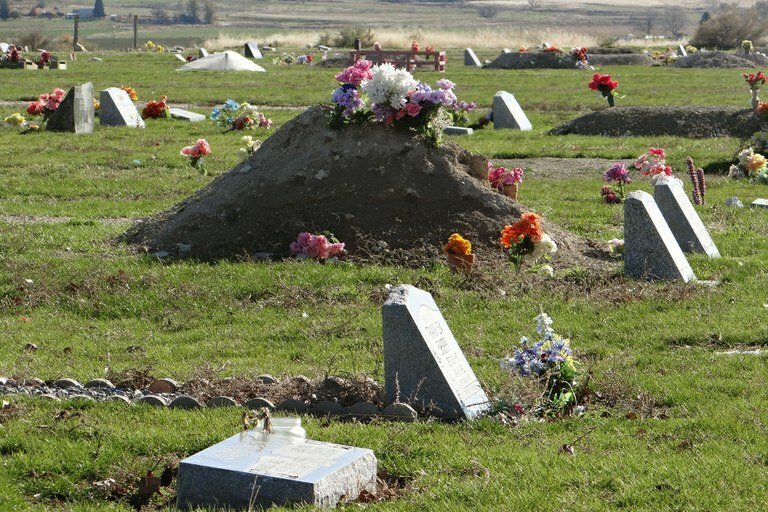 In the Peaceful Valley Cemetery in Idaho, owned by Followers of Christ, 35 percent of the graves from 2002 to 2013 are for minors or stillborn babies. Idaho, long a beacon for conservatism and libertarianism, has the strongest protections for faith-healers in the West. It is one of just six states nationwide that shield faith-healing parents from felony charges — negligent homicide, manslaughter or capital murder — when their children die of treatable illnesses. Laws protecting faith healing initially passed in the early 1970s. It took decades for lawmakers to revisit the issue, but so far, no proposed changes have passed. In October 2013, a 5-day-old baby boy born to Followers of Christ died of a bowel blockage in a Caldwell home. The child’s father told the coroner there that the parents did not seek medical treatment despite the fact that “the baby had not had a bowel movement” and had a scrotum swollen to four times the normal size. Later that year, a baby girl named Fern, in Canyon County, was stillborn. The coroner noted, “It was apparent that she had been dead for a while as the skin was slipping off the entire torso of the body.” Not all stillbirths are preventable, but according to a nonprofit called Children’s Healthcare is a Legal Duty, which advocates for more stringent laws, there is some evidence that stillbirths are higher among the Followers of Christ. In one Idaho cemetery owned by the sect, 35 percent of the graves from 2002 to 2013 are for minors or stillborn babies. A month later, a full-term baby girl was stillborn in a Payette home. The next year, the governor called for a task force to examine the issue. Finally, the bill put forward in 2017 failed, and the cycle continued: Lawmakers dismiss attempts to protect children in faith-healing communities, children continue to die. Months after Heider and 23 other legislators voted down the bill, a 3-year-old boy died in Parma, Idaho. When the coroner arrived at the remote trailer, the mother said the boy had seizures. He’d thrown up while he was napping, she said, and she couldn’t wake him up again. Some of the gravestones at Peaceful Valley Cemetery. Linda Martin has binders filled with coroners’ reports from Idaho dating back decades. An ex-Follower of Christ who left the church as a teenager, Martin has been one of the most determined opponents of Idaho’s legal tolerance of faith-healing. And she fears that with a right-wing president in the White House, lawmakers will continue to do nothing. Last spring, President Donald Trump signed an executive order aimed at strengthening protection for religious people in America. “We will not allow people of faith to be targeted, bullied or silenced anymore,” he said from the White House rose garden. “In my opinion, when Trump got elected it, it actually empowered the conservative religious Republicans in Idaho,” Martin says. Bruce Wingate, founder of the Protect Idaho Children Foundation, agrees. Historically “Idaho has always been seen as a refuge of sorts for religious groups that are not mainstream,” she says in an email. But Linda Martin believes that statements like that miss the point altogether. Idaho legislators, she says, are shielding what amounts to a religious cult — a cult that endangers its youngest and most vulnerable members. And what’s happening behind those doors, she says, is deadly.